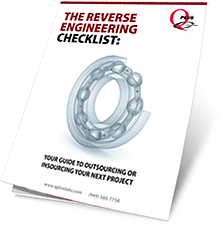 Whether you insource or outsource, make sure your next reverse engineering project is a success. Reverse engineering is a critical skill for many manufacturers and product innovators. But deciding whether to outsource the work or purchase equipment for internal use can be a difficult and often costly decision. To download this free guide, complete the form on the right.